The first of these provides a backdrop for the story, but it’s not particularly germane. The second belongs primarily to Carrefax and Serge. The last four are implicated in Sophie’s fate. Each of these codes is susceptible to corruption, accident, mis- or malignant use; none appears as simply a neutral field for the free play of meaning. There’s the spycraft that Widsun appears to be recruiting/seducing Sophie into, and the explosion yielded by Sophie and Serge’s experiment. 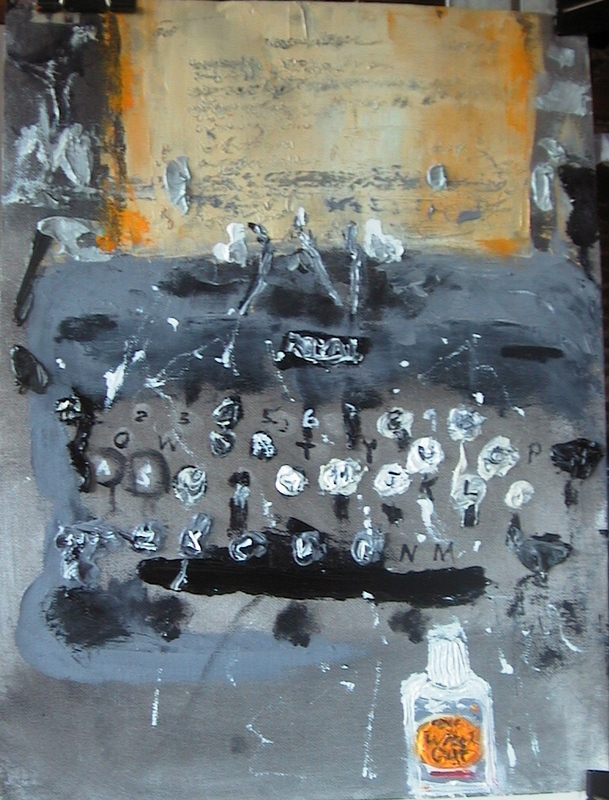 You could also add Serge’s vibrant dyslexia to the pile, a corruption of the written word as its learned: “He keeps switching letters round… He see letters streaming through the air, whole blocks of them, borne on currents occupying a zone beneath the threshold of the comprehensible…” (38). (Mrs. K-sky reports experiencing a similar effect.) Does it seem that language and code as a field for power games and dreadful mistakes will be a running theme? “—in the beginning, ladies and gentlemen, was the Word” (14). Carrefax goes onto pronounce that “speech is divine.” I’m not sure what role exactly Carrefax’s exalted logocentrism will play in the development of the above, but McCarty sure unfurls it boldly, and it seems as if he’s inviting us to get the reference and extrapolate from there. Maybe some of you professionals can better pick up what he’s putting down, here. Josh, you mentioned Proust’s extended visual metaphors in McCarty’s approach to language — anything further to expand on that here? What about the rest of yinz? Pat, did I cover a tenth of what you were going to put in your Unwritten Blog Post? I’ve been a slouch on the first book, but I promise to step it up for Tom McCarty’s C, coming to summer book club at The Weblog soon. The swiftly dawning realization in the first few pages of The Flame Alphabet that the narrator is about to abandon his child is powerful to the point of verging on kitsch. I had two simultaneous reactions to it. The first was a straightforward emotional reaction. Reading as a relatively new father, it struck me as unbearably, chokingly sad, triggering the same feeling I get from catastrophizing about my daughter. At the same time, the book is also an extended riff on how annoying teenagers are (with a Jewish girl teen at the center). Take my daughter… please! A few years ago, The Weblog hosted a summer book club to read 2666 by Roberto Bolaño. Pat has volunteered to host the proceedings once again, and a small group of us, including Big Josh* who was here last time decided to read Ben Marcus’s The Flame Alphabet followed by Tom McCarthy’s C. Please join in! We aim to kick things off on June 1st or thereabouts. *Big Josh and I are really about the same size, but that’s how we told each other apart when we were cob-loggers.